The Retail Motor Industry Federation's (RMIF) National Franchised Dealers Association has reiterated its calls for the government to introduce a scrappage incentive scheme, following new car sales figures for February. 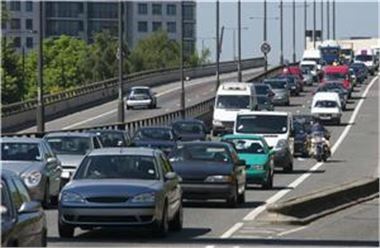 Statistics provided by the Society of Motor Manufacturers and Traders revealed year-on-year registrations had dropped 21.9 per cent last month. RMIF said it was time for the country's leaders to take action and claimed offering financial rewards to people prepared to scrap older models could be just the thing to tempt motorists back into showrooms. Director Sue Robinson commented: "Consumers will look to new cars again, given the right impetus." She added: "This scheme is widely supported by car retailers." The group also claimed such an initiative could have a positive effect on the environment by taking older, highly-polluting models out of circulation. In other motoring news, RMIF recently stated it was important for garages and dealerships to sign up to the Motor Industry Code of Practice for Service and Repair.